Carol Ann Lovland, age 76, passed away on November 13, 2018, at Webb City Health & Rehab after complications resulting from rheumatoid arthritis from which she suffered for many years. She was born to Charlie and Evelyn (Snare) Uchtman on March 23, 1942, in Bend, Oregon. Carol and her family moved to the Marshfield, Missouri, area when she was a young girl. She graduated from Marshfield High School in 1960 as salutatorian. She attended the University of Missouri and graduated in 1964 with a Bachelor of Science degree in education. She was a proud member of the Campbell-Harrison House at the University of Missouri. After graduation, Carol worked as an educator in the Fort Osage, North Kansas City and Sherwood school districts. She married Don Lovland on October 20, 1967 in Kansas City, Missouri, after being introduced by the custodian at Blue Hills Elementary School and sharing a bottle of Mountain Dew. Due to complications from rheumatoid arthritis, Carol left the classroom but did not leave her passion for education — supporting her husband and volunteering in the Sherwood School District and Monroe City School District, where Don served as superintendent of schools. After Don’s retirement in 2002, the couple relocated to Joplin, Missouri, to be closer to their grandchildren. In retirement, Don and Carol enjoyed traveling. Carol’s dream of seeing Alaska’s beauty in person became a reality in 2012, as she, Don and their four children took the trip to celebrate her 70th birthday. Carol was led by a strong faith and dedication to public service. 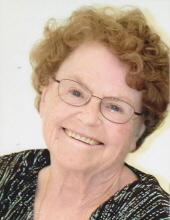 She was an active member in the church, including Good Shepherd Lutheran Church in Carthage, Mo. She served in the Lutheran Women’s Missionary League, and was a bible school and a Sunday School teacher. She was a 4-H leader, and supported various charitable organizations and mission outreaches. Carol was preceded in death by her parents; her brothers John Uchtman, Carl Uchtman, Alan Dahlstrom; and sisters Lola Davidson and Shirley Gott. She is survived by her husband, Don; children Doretta (Mike) Fox, Elizabeth (Rick) Rogers, Lenora Lovland, George (Michelle) Lovland; 8 grandchildren Brandy, Becky, Michael, Quinette, Donnie, Rachel, Darcy and Evelyn; 2 great-grandchildren; sisters Dorothy Davidson, Yvonne (Dale) Nixon; brothers William (Brenda) Uchtman, Charles (Connie) Uchtman, Lewis (Gale) Uchtman; numerous cousins, nieces, and nephews. Services will be held on Saturday, November 17 at Good Shepherd Lutheran Church, 8975 County Lane 170, Carthage, Mo. Visitation will be at 9 a.m. and funeral services at 10 a.m., followed by graveside services at Webb City Cemetery, 1821 South Oronogo, Webb City, MO. In lieu of flowers, contributions are suggested to Good Shepherd Lutheran Church. Services are under the direction of Simpson Funeral Home in Webb City. Visit www.simpsonfh.com for online condolences. To send flowers or a remembrance gift to the family of Carol Ann Lovland, please visit our Tribute Store. "Email Address" would like to share the life celebration of Carol Ann Lovland. Click on the "link" to go to share a favorite memory or leave a condolence message for the family.